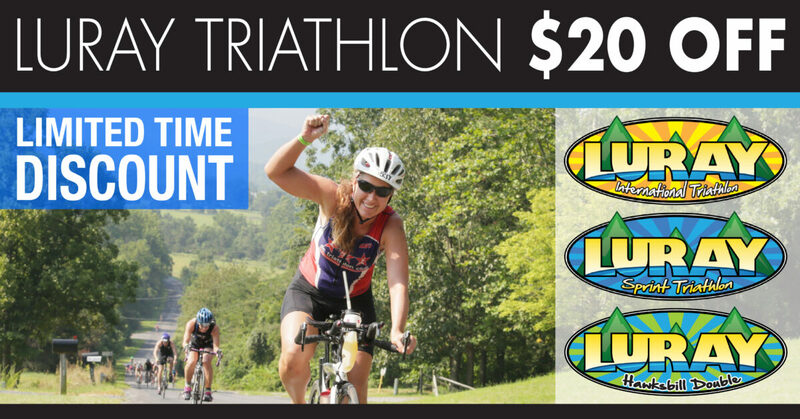 GET $20 OFF LURAY TRIATHLON!!! Home/News/GET $20 OFF LURAY TRIATHLON!!! Time is running out to register for the 2017 Luray Triathlon. For a limited time we are offering a team discount to EVERYONE! That’s $20 OFF!! Please use ALL letters/numbers/characters above. This is a Discount Code. You will enter this into the Discount Code field on the payment page of registration.